You are here: Home / Educating Ellen / What’s with all the stork pictures? “Educating Ellen” will be regular feature on our blog. Ellen is one of Genia’s oldest and dearest friends. Despite this, Ellen knows nothing about midwifery and is not afraid to ask questions. She has no clue and no filter! “Educating Ellen”: Why do all those midwifery pictures look like a stork has just dropped the baby off? What is that thing? That thing is a hanging scale. 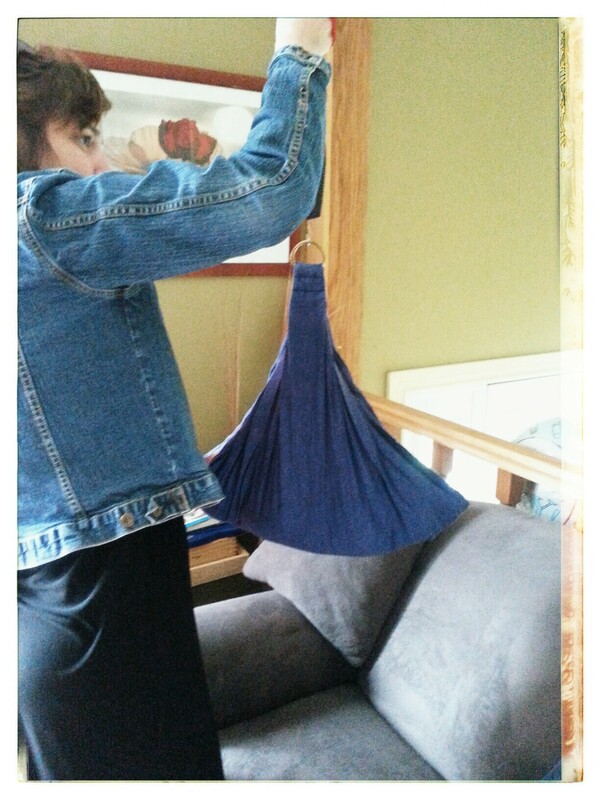 Babies are placed in a hammock like sling made from soft material and then suspended from a hanging scale to measure their weight. We weigh babies when they are born and then on Day 3 and Day 5 to monitor appropriate weight loss and gain. We provide these visits in a client’s home in the first week after the birth so that parents and babies can stay home to rest, get to know each other and work on breastfeeding (if that is chosen). We use this hanging style scale because they are more comfortable for the babies than cold, hard, plastic scales and because they are compact and highly portable. Midwives carry all of the same equipment and supplies that you would find in a hospital labour and delivery room with a few small exceptions. The equipment is routinely calibrated and serves the same function as the hospital equipment but is smaller and portable. This equipment includes all kinds of stuff like a doppler to listen to the baby’s heart rate during labour, stuff to treat bleeding like medications and intravenous fluids and stuff to help babies breathe after birth. We also carry instruments for the birth and any suturing that could be needed. 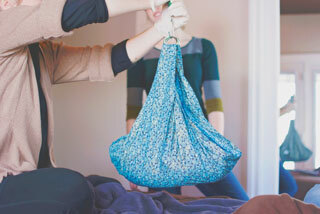 When we show up to a home birth we look a little like a pack mule. True story. Those stork looking slings are just one example of the many portable items we use to provide the same standard of care people expect from the hospital or doctor’s office in the comfort of a client’s home.